, a campaign encouraging all visitors to Micronesian nation to sign an agreement, stamped into their passports, promising to respect and protect its natural resources. The work has won 16 Grand Prix awards worldwide. Higgins is leaving the agency after more than five years to pursue a new opportunity. Melder also departs the agency, following a successful two year focus on Defence Force Recruiting. Higgins will leave the agency in March and the new creative structure will take effect immediately. Their exits comes after Host/Havas lost the Defence Force account in January to VMLY&R, which AdNews understands resulted in up to 50 redundancies. As part of his new role, Austin oversees the creative output across the agency, with an increasing focus on the intersection of entertainment, innovation and advertising. Host/Havas CEO Laura Aldington said Austin, who has spent the past six years with the agency, has proven his abilities for the role. “Austin is responsible for some of our most popular work over the last six years, as well as the vast majority of our new business success,” Aldington said. Austin led majors campaigns such as Air New Zealand’s successful ‘Summer Wonderland’ and ‘A Very Merry Mistake’. He's also responsible for the Super Bowl’s ‘Losers’ Paradise’. Austin said he looks forward to starting his new role. “We have an incredible stable of collaborative and adventurous clients and I find myself surrounded by some of Australia’s most formidable creative talent, sharpest strategic minds and most inspiring leadership,” Austin said. 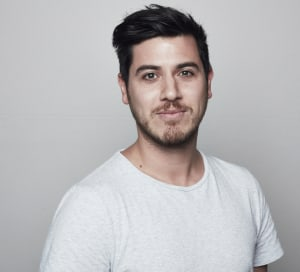 Host/Havas has named Jon Austin as its executive creative director, following a creative restructure within the business. Austin takes sole rein of the agency's creative leadership after the departures of co-ECDs Seamus Higgins and Ant Melder. Higgins previously led the Palau Pledge for the agency, a campaign encouraging all visitors to Micronesian nation to sign an agreement, stamped into their passports, promising to respect and protect its natural resources. The work has won 16 Grand Prix awards worldwide.